Store at -20 degree C. Avoid freeze / thaw cycles. Small volumes of anti-ACTB antibody vial(s) may occasionally become entrapped in the seal of the product vial during shipment and storage. If necessary, briefly centrifuge the vial on a tabletop centrifuge to dislodge any liquid in the container`s cap. Certain products may require to ship with dry ice and additional dry ice fee may apply. This gene encodes one of six different actin proteins. Actins are highly conserved proteins that are involved in cell motility, structure, and integrity. This actin is a major constituent of the contractile apparatus and one of the two nonmuscle cytoskeletal actins. 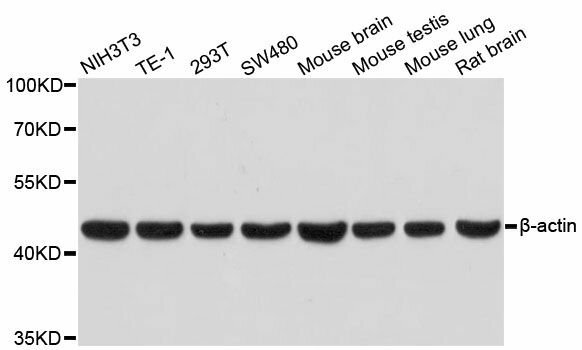 Western blot analysis of extracts of various cell lines, using beta-actin antibody at 1:100000 dilution. 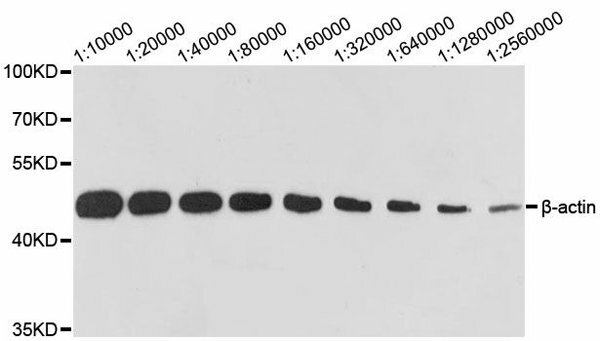 Western blot analysis of extracts of HeLa cells, using beta-actin antibody at 1:10000-1:2560000 dilution. 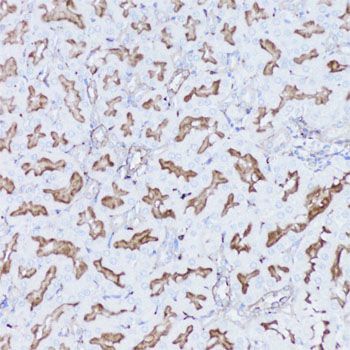 Immunohistochemistry of paraffin-embedded human breast cancer using beta-actin antibody at dilution of 1:100 (20x lens). 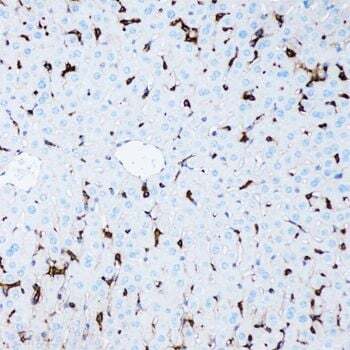 Immunohistochemistry of paraffin-embedded mouse liver using beta-actin antibody at dilution of 1:100 (20x lens). 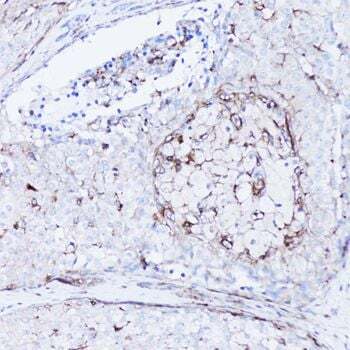 Immunohistochemistry of paraffin-embedded rat kidney using beta-actin antibody at dilution of 1:100 (20x lens). NCBI/Uniprot data below describe general gene information for ACTB. It may not necessarily be applicable to this product. 1. The authors describe heterozygous ACTB deletions and nonsense and frameshift mutations in 33 individuals with developmental delay, apparent intellectual disability, increased frequency of internal organ malformations (including those of the heart and the renal tract), growth retardation, and a recognizable facial gestalt.